Rick Nelson came up in the 12th inning of this July 1985 game for short-season Everett with the bases loaded. He didn't hit a home run, but he did the next best thing, according to The Spokane Spokesman-Review. Nelson hit a bases-clearing triple, helping Everett to the 10-6 win, The Spokesman-Review wrote. Nelson went on to play in five professional seasons. He made AA, but didn't make it higher. Nelson's career began that year in 1985, taken by the Giants in the first round of the 1985 January draft out of Orange Coast College. Nelson started with the Giants at Everett. He hit .264 in 46 games, knocking nine home runs. He tied for the league lead in home runs with seven by the end of July. He hit one of those home runs in a June game. Nelson moved to single-A Clinton for 1986, playing the entire season there and hitting .246 with 15 home runs. He also stole 15 bases. 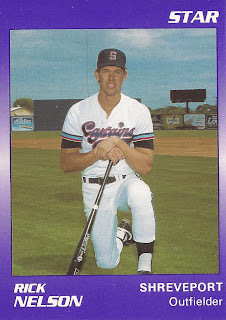 In 1987, he played at single-A Fresno, getting 98 games there and a .261 average. He then got 54 games at AA Shreveport for 1988. He hit .237 in his abbreviated campaign. Nelson isn't credited as playing in 1989, but he returned in 1990 to Shreveport. He got into 17 games and hit .176. 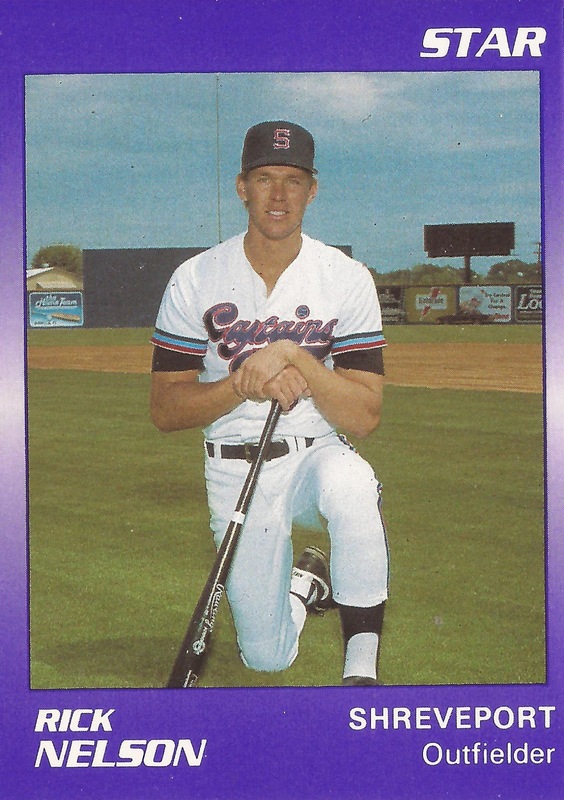 He then got into 40 more games with the Angels at high-A Palm Springs, ending his career.